Travel luggage business is set for a boom with the use of eco chic jute traveling bags. These bags looks classy and gives a positive impression of the user. By organizing their stuff better in these durable bags, user can experience comfort and convenience while traveling. 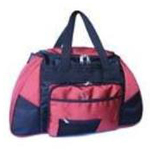 These cost effective bags are best known for their durability and reliability. These trendy travel jute bags are light in weight, easy to carry and are washable too. 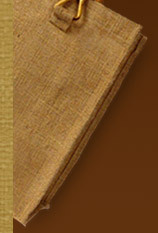 An extensive line of jute traveling bags are available with various features like zippers, pockets, straps and handles. With the help of embroidery, beads and various other embellishments, the natural look of these travel jute bags are further enhanced. In the past couple of years, Travel Jute Bags have probably become the best selling bag. These bags are made up of natural biodegradable material, jute, which is soft and strong fabric that makes provides it with inherent advantages. These spacious bags are easy to clean & carry, and designed with many zippered parts and many fast accessing pockets for convenience. These stylish and eco friendly travel jute bags are very famous, owing to their fascinating looks, low prices, rough & tough use and functional design. Available in varying qualities and colors, these jute bags meets everyone's style and price range. These travel jute bags are an ideal blend of fashion and comfort, and are suitable for use in traveling in every corner of the world. These easy to clean Jute Bags are always in high demand as they require minimal maintenance. These contemporary bags can very well carry a designer look without compromising its utilitarian value. Fashion designers are also making these bags on individual requirements and preferences. The customization is not just limited to design of travel jute bags, but it spans to their styles, color combinations, and sizes. These customizable and eco friendly travel bags are stylish, reusable and known for their high fashion appeal.